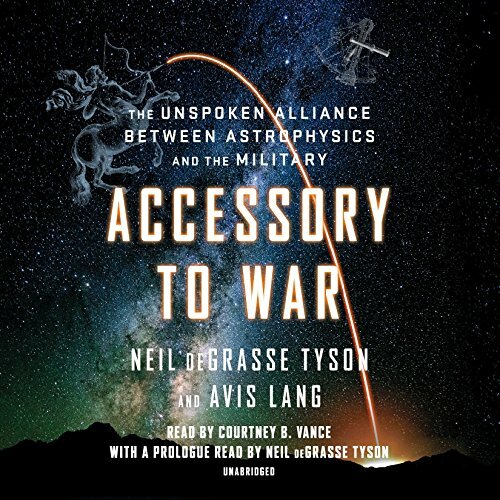 Showing results by narrator "Neil deGrasse Tyson - introduction"
In this fascinating foray into the centuries-old relationship between science and military power, acclaimed astrophysicist Neil deGrasse Tyson and writer-researcher Avis Lang examine how the methods and tools of astrophysics have been enlisted in the service of war. "The overlap is strong, and the knowledge flows in both directions", say the authors, because astrophysicists and military planners care about many of the same things: multi-spectral detection, ranging, tracking, imaging, high ground, nuclear fusion, and access to space. Tyson and Lang call it a "curiously complicit" alliance.